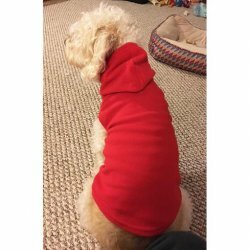 We think you will love our red plush hooded one piece footy from Big Feet Pajamas. Made of 100% plush, baby blanket-type material, this footy is so soft and so durable. This pj has a zip up front, a drop seat and non-slip soles. Check out the matching hooded footie in navy and pink. 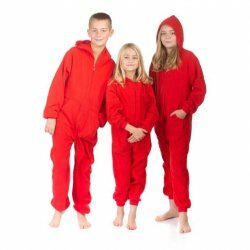 Big Feet Pajamas is the premier manufacturer of footed pajamas. Big Feet Pajamas have been worn on hit shows on ABC, NBC, CBS, Fox, A&E, MTV, VH1, E!, Bravo, Nickelodeon, The Disney Channel and FX. In fact, these exact pajamas were worn on ABC's "Cougar Town," VH1's "The TO Show," E! 's "Talk Soup" and other hit shows. 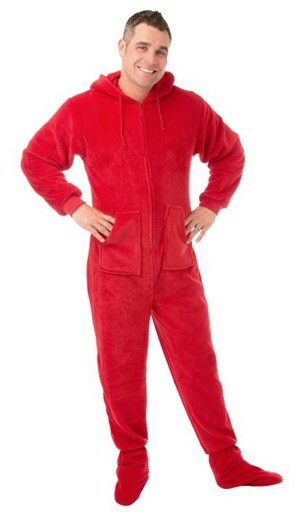 We think you will love our red plush hooded one piece footy from Big Feet Pajamas. Made of 100% plush, baby blanket-type material, this footy is so soft and so durable. This pj has a zip up front, a drop seat and non-slip soles. Check out the matching hooded footie in Navy and Pink. 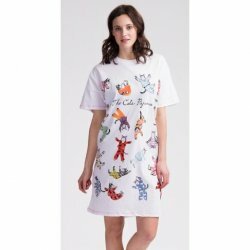 Big Feet Pajamas is the premier manufacturer of footed pajamas. 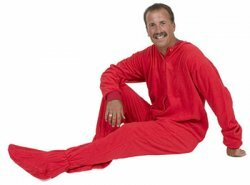 Big Feet Pajamas have been worn on hit shows on ABC, NBC, CBS, Fox, A&E, MTV, VH1, E!, Bravo, Nickelodeon, The Disney Channel and FX. In fact, these exact pajamas were worn on ABC's "Cougar Town," VH1's "The TO Show," E! 's "Talk Soup" and other hit shows.